Looking forward to the holidays but not all the food prep and clean-up? These restaurants open on Christmas Eve and Christmas Day in Jacksonville will keep you out of the kitchen and in the holiday spirit! You'll want to be naughty and clean your plate with the "clean eating" menu at the True Food Kitchen. Eat light and healthy for a meal or two in between the traditional favorites. The founders of True Kitchen believe "delicious dining and conscious nutrition can go hand-in-hand without sacrificing flavor, creativity, or indulgence." Whether it's low-gluten, no-gluten, or the freshest ingredients in town, you'll find your healthy favorites at True Foods without missing all of the bad stuff or good flavor you expect at the holidays. Make sure to stop by True Food Kitchen in Jacksonville on Christmas Eve anytime between 11 a.m. and 9 p.m.
IHOP in Jacksonville is open on Christmas Eve and Christmas Day this holiday season spreading buttery Christmas cheer with their regular menu items and Grinch-themed breakfast specials! The Grinch pancakes are hot (and green) on the griddle at IHOP and straight out of Whoville! Topped with cream cheese icing and red hearts. every bite will melt in your mouth! Next, the Who-Roast-Beast Omelette is a meal by itself with two different cheeses, jalapenos, onions, and hash browns then finished off with their tangy BBQ sauce. This menu item is also served with a side of buttermilk pancakes! What’s more? The Whoville Holiday Cheesecake French Toast is made with two King's Hawaiian rolls in lieu of the toast. It's covered with layers of creamy cheesecake filling and raspberry and whipped toppings! For a festive meal in Jacksonville on Christmas Eve or Christmas Day, stop by Ruth’s Chris Steakhouse for their sizzling menu of steaks and seafood. You can enjoy your favorite entrees with a variety of elegant wines and hand-crafted cocktails from 11 a.m. to 10 p.m. The Surf and Turf is Ruth’s dinner special offers not one, but two lobster tails served with your choice of ribeye or petite steak filet. Add salad and sides like mashed potatoes, creamed spinach, cremini mushrooms, grilled asparagus, and you'll ring in the holidays in the merriest of spirits! 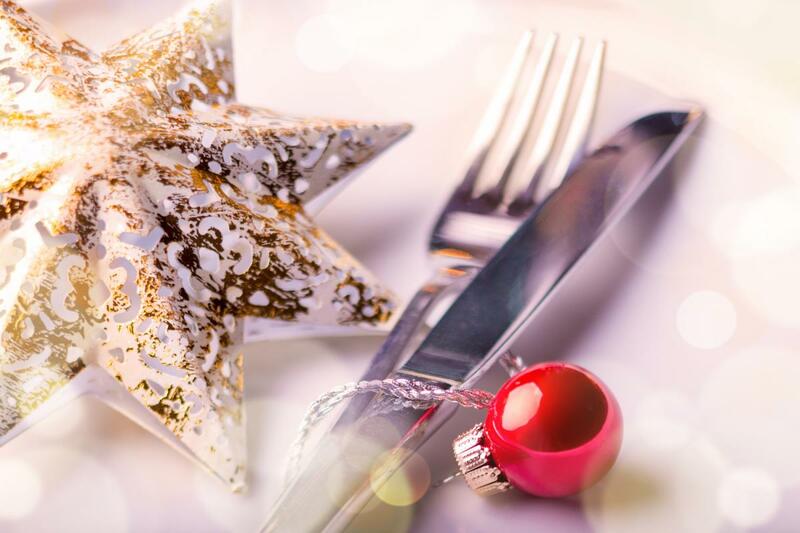 With so many things to do during the holidays, make things a little easier for yourself this year and dine out at one of these restaurants open on Christmas Eve and Christmas Day in Jacksonville. Find more restaurants in Jacksonville by registering with 904 area, your free guide to the Jacksonville area.